California State Capitol Building in Sacramento. Photo courtesy of Sarangib and Pixabay.com. Find your specific California legislator. Please note that many communities may be divided among two or three assembly districts. These are indicated with "(part)." Acton (part), Agua Dulce (part), Bouquet Canyon (part), Canyon Country (Santa Clarita)(part), Castaic (part), City Ranch, Crystalaire, Del Sur, Edwards AFB (LA County Portion), Elizabeth Lake, Fairmont, Green Valley (part), Hi Vista, Juniper Hills (part), Lake Hughes, Lake Los Angeles, Lancaster, Leona Valley, Littlerock (part), Llano, Metler Valley, Mint Canyon (part), Neenach, Palmdale, Pearblossom (part), Quartz Hill, Roosevelt Corner, Sandberg, Saugus (Santa Clarita)(part), Sun Village (part), Three Points, Tujunga (LA)(part), Val Verdes (part), Valencia (Santa Clarita)(part), Valyermo, Wilsona Gardens. Acton (part), Agua Dulce (part), Bouquet Canyon (part), Box Canyon (LA)(part), Canoga Park (LA)(part), Canyon Country (Santa Clarita)(part), Castaic (part), Chatsworth (LA)(part), Fair Oaks Ranch (part), Granada Hills (LA)(part), Green Valley (part), Mint Canyon (part), Newhall (Santa Clarita)(part), Northridge (LA)(part), Porter Ranch (LA), Santa Clarita, Saugus (Santa Clarita)(part), Stevenson Ranch, Val Verdes (part), Valencia (Santa Clarita)(part), West Hills (LA)(part). Agua Dulce (part), Arleta (LA)(part), Burbank (part), Canyon Country (Santa Clarita)(part), Fair Oaks Ranch (part), Glendale (part), Granada Hills (LA)(part), Green Valley (part), Hansen Hills (LA)(part), Kagel Canyon (LA), La Crescenta (part), La Tuna Canyon (LA), Lake View Terrace (LA), Mint Canyon (part), Mission Hills (LA)(part), Montrose (part), Newhall (Santa Clarita)(part), North Hollywood (LA)(part), Pacoima (LA)(part), Panorama City (LA)(part), San Fernando, Saugus (Santa Clarita)(part), Shadow Hills (LA), Sherman Village (LA)(part), Sun Valley (LA), Sunland (LA), Sylmar (LA), Toluca Terrace (LA)(part), Tujunga (LA)(part), Valley Village (LA)(part). Altadena, Arcadia (part), Azusa (part), Bradbury (part), Charter Oak (part), Claremont (part), Covina (part), Eagle Rock (LA)(part), El Sereno (LA)(part), Highland Park (LA)(part), Irwindale (part), Juniper Hills (part), La Cañada Flintridge (part), La Verne (part), Littlerock (part), Monrovia (part), Monterey Hills (LA)(part), Mount Baldy LA County Portion), Mount Wilson, Pasadena (part), Pearblossom (part), Pomona (part), San Dimas (part), San Gabriel (part), San Marino (part), Sierra Madre (part), South Pasadena (part), Sun Village (part). Atwater Village (LA)(part), Burbank (part), East Hollywood (LA)(part), Echo Park (LA)(part), Elysian Valley (LA)(part), Glendale (part), Griffith Park (LA), Hancock Park (LA)(part), Hollywood (LA)(part), La Cañada Flintridge (part), La Crescenta (part), Los Feliz (LA), Montrose (part), North Hollywood (LA)(part), Rampart Village (LA)(part), Silver Lake (LA)(part), Studio City (LA)(part), Toluca Lake (LA)(part), Tujunga (LA)(part), Virgil Village (LA)(part), West Hollywood (part), West Toluca Lake (LA)(part), Western Wilton (LA)(part), Wilshire Center (LA)(part), Windsor Square (LA)(part). Agoura Hills (part), Cornell (part), Malibu (part), Westlake Village. Agoura Hills (part), Bel Air Estates (LA)(part), Bell Canyon (LA), Box Canyon (LA)(part), Brentwood (LA)(part), Calabasas (part), Canoga Park (LA)(part), Chatsworth (LA)(part), Cornell (part), Encino (LA)(part), Hidden Hills (part), Monte Nido (part), North Hills (LA)(part), Northridge (LA)(part), Reseda (LA)(part), Reseda (LA)(part), Sherman Oaks (LA)(part), Tarzana (LA), Van Nuys (LA)(part), West Hills (LA)(part), Winnetka (LA), Woodland Hills (LA)(part). Arleta (LA)(part), Bel Air Estates (LA)(part), Beverly Glen (LA)(part), Beverly Hills (part), Burbank (part), Hansen Hills (LA)(part), Hollywood (LA)(part), Lake Balboa (LA), Mission Hills (LA)(part), Mt Olympus (LA)(part), North Hills (LA)(part), North Hollywood (LA)(part), Northridge (LA)(part), Pacoima (LA)(part), Panorama City (LA)(part), Sherman Oaks (LA)(part), Sherman Oaks (LA)(part), Sherman Village (LA)(part), Studio City (LA)(part), Toluca Lake (LA)(part), Toluca Terrace (LA)(part), Universal City, Valley Glen (LA), Valley Village (LA)(part), Van Nuys (LA)(part), West Hollywood (part), West Toluca Lake (LA)(part). Arcadia (part), Avocado Heights (part), Azusa (part), Baldwin Park, Bassett (part), Bradbury (part), Charter Oak (part), City of Industry (part), Covina (part), Duarte (part), Duarte (part), El Monte (part), Glendora, Irwindale (part), Irwindale (part), Irwindale (part), La Puente (part), Monrovia (part), Pasadena (part), San Dimas (part), South El Monte (part), Valinda (part), West Covina (part), West Puente Valley (part). Alhambra, Arcadia (part), El Monte (part), Monrovia (part), Montebello (part), Monterey Park (part), Pasadena (part), Rosemead (part), San Gabriel (part), San Marino (part), Sierra Madre (part), South El Monte (part), South Pasadena (part), Temple City. Agoura Hills (part), Arlington Heights (LA)(part), Bel Air Estates (LA)(part), Beverly Glen (LA)(part), Beverly Hills (part), Brentwood (LA)(part), Calabasas (part), Castellemare (LA), Century City (LA)(part), Cheviot Hills (LA)(part), Cornell (part), Country Club Park (LA)(part), Encino (LA)(part), Fairfax (LA), Hancock Park (LA)(part), Hidden Hills (part), Hollywood (LA)(part), Koreatown (LA)(part), Malibu (part), Melrose (LA), Mid-City (LA)(part), Miracle Mile (LA), Monte Nido (part), Mt Olympus (LA)(part), Pacific Highlands (LA), Park La Brea (LA), Rampart Village (LA)(part), Rancho Park (LA)(part), Santa Monica (part), Sawtelle (LA)(part), Topanga, Topanga State Park (LA), Virgil Village (LA)(part), West Beverly (LA), West Fairfax (LA)(part), West Hollywood (part), Western Wilton (LA)(part), Wilshire Center (LA)(part), Wilshire Park (LA)(part), Wilshire-La Brea (LA), Windsor Square (LA)(part), Woodland Hills (LA)(part). Atwater Village (LA)(part), Boyle Heights (LA)(part), Bunker Hill (LA)(part), City Terrace (part), Commerce (part), Cypress Park (LA), Downtown LA - Arts District (LA)(part), Downtown LA - Bunker Hill (LA)(part), Downtown LA - Chinatown (LA)(part), Downtown LA - City West (LA)(part), Downtown LA - Civic Center (LA)(part), Downtown LA - Fashion District (LA)(part), Downtown LA - Historic Core (LA)(part), Downtown LA - Little Tokyo (LA)(part), Downtown LA - South Park (LA)(part), Eagle Rock (LA)(part), East Hollywood (LA)(part), East Los Angeles (part), Echo Park (LA)(part), El Sereno (LA)(part), Elysian Valley (LA)(part), Glassell Park (LA), Glendale (part), Highland Park (LA)(part), Lincoln Heights (LA), Montecito Heights (LA), Monterey Hills (LA)(part), Monterey Park (part), Mt Washington (LA), Pasadena (part), Silver Lake (LA)(part), South Los Angeles (LA)(part), South Pasadena (part), Watts (LA)(part), Westlake (LA)(part). Claremont (part), Diamond Bar (part), La Verne (part), Pomona (part). Arlington Heights (LA)(part), Bell (part), Bell Gardens (part), Boyle Heights (LA)(part), Bunker Hill (LA)(part), Byzantine-Latino Quarter (LA), City Terrace (part), Commerce (part), Country Club Park (LA)(part), Cudahy (part), Downtown LA - Arts District (LA)(part), Downtown LA - Bunker Hill (LA)(part), Downtown LA - Central (LA), Downtown LA - Chinatown (LA)(part), Downtown LA - City West (LA)(part), Downtown LA - Civic Center (LA)(part), Downtown LA - Fashion District (LA)(part), Downtown LA - Historic Core (LA)(part), Downtown LA - Historic Core (LA)(part), Downtown LA - Little Tokyo (LA)(part), Downtown LA - South Park (LA)(part), Downtown LA - Southeast (LA)(part), East Hollywood (LA)(part), East Los Angeles (part), Echo Park (LA)(part), Hancock Park (LA)(part), Harvard Heights (LA), Hollywood (LA)(part), Huntington Park (part), Jefferson Park (LA)(part), Koreatown (LA)(part), Leimert Park (LA)(part), Maywood (part), Mid-City (LA)(part), Pico Heights (LA), Rampart Village (LA)(part), Silver Lake (LA)(part), Southeast Los Angeles (LA)(part), Univerity Park (LA)(part), Vernon (part), Virgil Village (LA)(part), Walnut Park (part), Watts (LA)(part), Western Wilton (LA)(part), Westlake (LA)(part), Wilshire Center (LA)(part), Wilshire Park (LA)(part), Windsor Square (LA)(part). 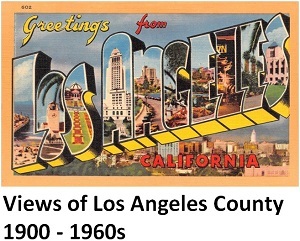 Arlington Heights (LA)(part), Baldwin Hills (LA), Bel Air Estates (LA)(part), Beverly Glen (LA)(part), Brentwood (LA)(part), Century City (LA)(part), Cheviot Hills (LA)(part), Country Club Park (LA)(part), Crenshaw (LA), Culver City (part), Hyde Park (LA)(part), Inglewood (part), Jefferson Park (LA)(part), Ladera Heights (part), LAX (LA)(part), Leimert Park (LA)(part), Mar Vista (LA)(part), Marina del Rey (LA), Marina Peninsula (LA)(part), Mid-City (LA)(part), Palms (LA), Rancho Park (LA)(part), Santa Monica (part), Sawtelle (LA)(part), South Los Angeles (LA)(part), Venice (LA)(part), Veterans Administration, View Park (LA)(part), West Adams (LA), West Fairfax (LA)(part), West Los Angeles (LA), Westchester (LA)(part), Westwood (LA), Windsor Hills (LA)(part). Charter Oak (part), City of Industry (part), Covina (part), Diamond Bar (part), La Puente (part), Pomona (part), Rowland Heights, Valinda (part), Walnut, West Covina (part), Whittier (part). Avocado Heights (part), Bassett (part), City of Industry (part), East La Mirada, El Monte (part), Hacienda Heights, La Habra Heights, La Mirada (part), La Puente (part), Los Nietos (part), Norwalk (part), Santa Fe Springs (part), South El Monte (part), South Whittier, Valinda (part), West Covina (part), West Puente Valley (part), West Whittier (part), Whittier (part). Artesia, Bell (part), Bell Gardens (part), Bellflower (part), Cerritos (part), City of Industry (part), Commerce (part), Cudahy (part), Downey (part), East Los Angeles (part), Lakewood (part), Los Nietos (part), Montebello (part), Norwalk (part), Paramount (part), Pico Rivera, Rosemead (part), Santa Fe Springs (part), South Gate (part), West Whittier (part), Whittier (part). Athens (part), Broadway-Manchester (LA)(part), Downtown LA - Fashion District (LA)(part), Downtown LA - South Park (LA)(part), Downtown LA - Southeast (LA)(part), Florence-Graham (LA), Huntington Park (part), Inglewood (part), Jefferson Park (LA)(part), Leimert Park (LA)(part), South Gate (part), South Los Angeles (LA)(part), Southeast Los Angeles (LA)(part), Univerity Park (LA)(part), Vernon (part), Walnut Park (part), Watts (LA)(part). Athens (part), Culver City (part), El Segundo, Gardena (part), Hawthorne (part), Hyde Park (LA)(part), Inglewood (part), Ladera Heights (part), Lawndale (part), LAX (LA)(part), Lennox, Mar Vista (LA)(part), Marina del Rey, Marina Peninsula (LA)(part), Playa del Rey (LA), Playa Vista (LA), Santa Monica (part), South Los Angeles (LA)(part), Venice (LA)(part), View Park (LA)(part), Westchester (LA)(part), Windsor Hills (LA)(part). Bell (part), Bell Gardens (part), Bellflower (part), Cerritos (part), Compton (part), Cudahy (part), Downey (part), East Rancho Dominguez (part), Hawaiian Gardens (part), Huntington Park (part), Lakewood (part), Long Beach (part), Lynwood (part), Maywood (part), Paramount (part), Rosewood (part), South Gate (part), Southeast Los Angeles (LA)(part), Vernon (part), Walnut Park (part), Watts (LA)(part), Willowbrook (part). Athens (part), Broadway-Manchester (LA)(part), Carson (part), Compton (part), Dominguez (part), East Rancho Dominguez (part), Gardena (part), Long Beach (part), Lynwood (part), Rancho Dominguez, Rosewood (part), South Los Angeles (LA)(part), Southeast Los Angeles (LA)(part), Torrance (part), Watts (LA)(part), Willowbrook (part), Wilmington (LA)(part). Gardena (part), Harbor City (LA), Hawthorne (part), Hermosa Beach, Lawndale (part), Lomita, Manhattan Beach, Palos Verdes Estates (part), Rancho Palos Verdes (part), Redondo Beach, Rolling Hills, Rolling Hills Estates (part), San Pedro (LA)(part), Terminal Island (LA)(part), Torrance (part), West Carson, Wilmington (LA)(part). Avalon, Carson (part), Dominguez (part), Hawaiian Gardens (part), Lakewood (part), Long Beach (part), Palos Verdes Estates (part), Rancho Palos Verdes (part), Rolling Hills Estates (part), San Pedro (LA)(part), Signal Hill, Terminal Island (LA)(part), Wilmington (LA)(part).